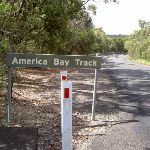 The engravings, just off the America Bay track, depict a woman over a whale, with sharks or fish surrounding. 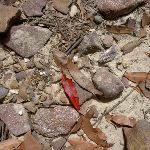 These engravings are situated in a small flat rock clearing – be careful not to step on the engravings or mark the rock surface. 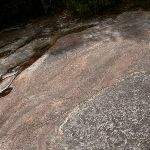 Turn right: From the intersection, this walk heads north, tending right for a short time to come to a rock surface, with Aboriginal engravings. 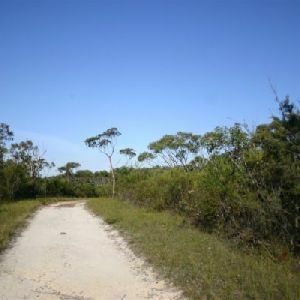 Continue straight: From the intersection, this walk heads west following the white arrow. 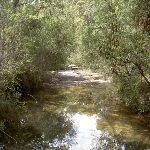 After about 700m the track comes to and then crosses a small creek. 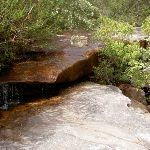 The track, with creek now on the left, continues downstream to come to a rocky surface which is followed to the unfenced cliffs, which make the waterfall. 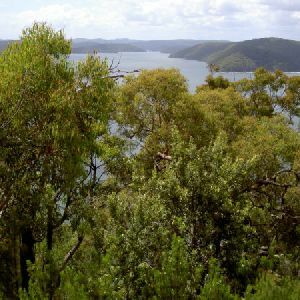 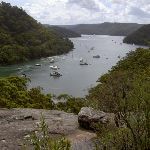 America Bay Waterfall, Ku-ring-gai Chase National Park, is a large 30m cliff, over which a creek cascades. 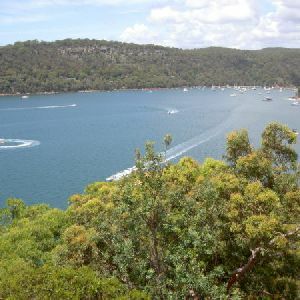 From the top of the fall, views over America Bay can be enjoyed. 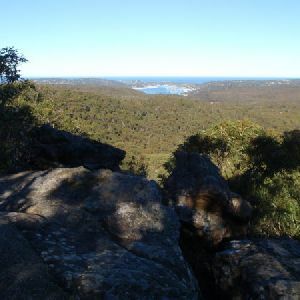 Around 840m of this walk has short steep hills, whilst the remaining 90m has gentle hills with occasional steps. 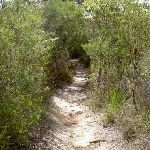 This whole walk, 930m follows a formed track, with some branches and other obstacles. 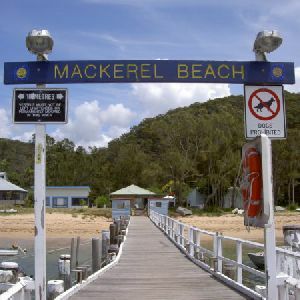 This whole walk, 930m has directional signs at most intersection. 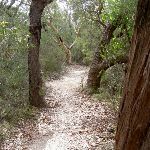 Around 840m of this walk requires some bushwalking experience, whilst the remaining 90m requires no previous bushwalking experience. 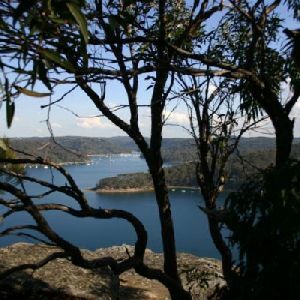 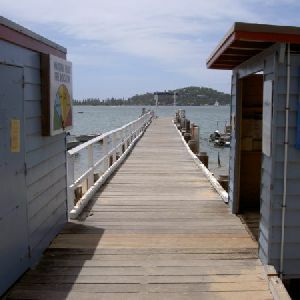 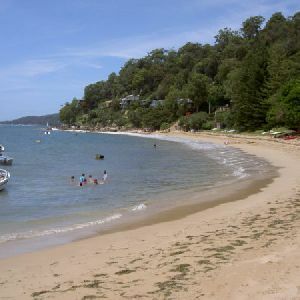 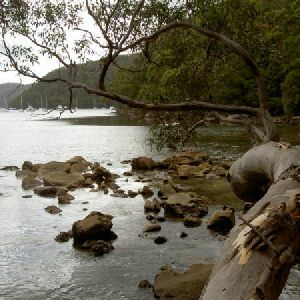 A list of walks that share part of the track with the America Bay Waterfall walk. 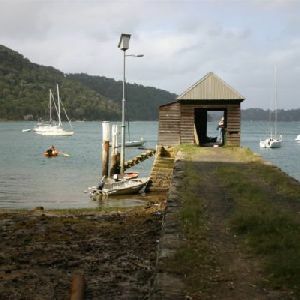 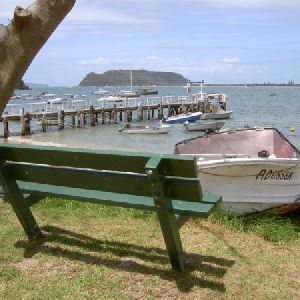 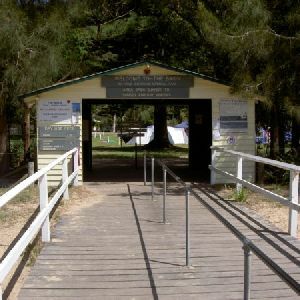 A list of walks that start near the America Bay Waterfall walk. 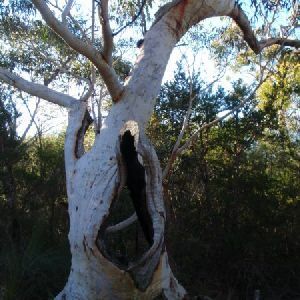 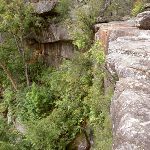 http://new.wildwalks.com/wildwalks_custom/includes/walk_fire_danger.php?walkid=nsw-krgcnp-abw Each park may have its own fire ban, this rating is only valid for today and is based on information from the RFS Please check the RFS Website for more information.